Ticket price £10 inc. one free drink and canapes. Advance tickets only. No admissions on the door! 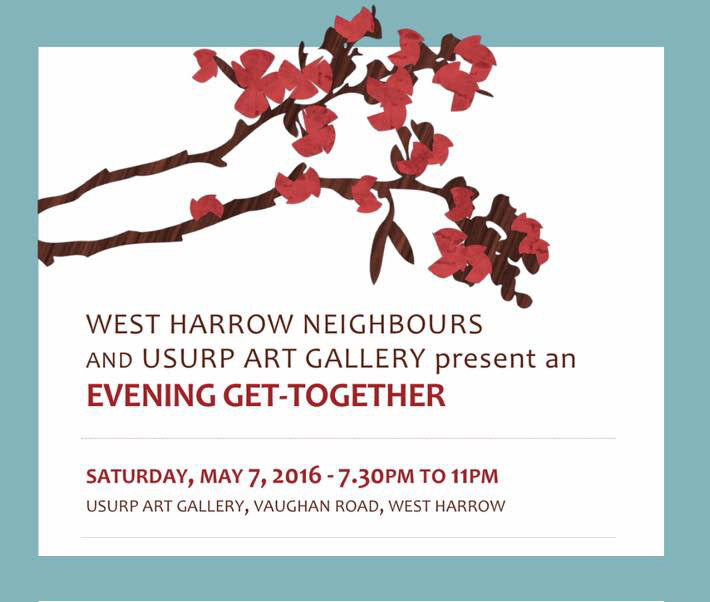 West Harrow Neighbours & Usurp are excited to announce an evening get-together. The night will be a great chance to meet your neighbours (no children!) and raise some money towards our annual summer street party which will be held on Sunday, June 12 2016. 10% of the profits will be donated to West Harrow Neighbours Street Party fund.